A few weeks ago I wrote down what I thought was the most likely timeline for 2nd-gen Ultrabooks, just a few days before a leak pointed at a June 5th launch. Taking the new information into account I’ve updated the timeline for Ultrabook activities. If I get more information I’ll update again. Again, the timeline is my estimation based on information and experience and I’m publishing it to help those that are making plans to buy both 1st and 2nd-gen Ultrabooks in the Q3-Q4 2012 timeframe. 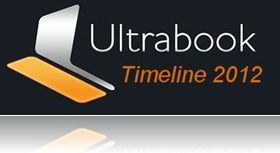 April 2012 – Expect Ivy Bridge Ultrabook ‘soft launches’ (controlled leaks, tip-offs) Look for some price drops and special offers on 1st-gen Ultrabooks. 1st week June – First production run of premium models of new Ultrabooks and possibly MacBook Air 2012. After the Computex launch, manufacturers will be able to start their official marketing for new products. Expect 5-10 new Ultrabook launches in the first few days at Computex. Acer and Asus are highly likely to be among the on-stage launches at the Intel keynote. 3rd week June – First products hitting shelves in main countries. (Taiwan, Japan, USA) May include Apple MacBook Air. July – staged availability of mainstream models and 2nd-tier manufacturers. Look out for the ‘back-to-school’ offers in the USA. Big marketing push. Any estimates for Eastern Europe ? I’m not talking specifics, just an approximation for reference. Also, you would think that Asus would finally unveil UX31A at Computex, then launch it somewhere near the end of June ? Yes, expect ASUS and Acer to use Computex, their home city, as launchpads for their new Ultrabooks. As for availability in Eastern Europe, obviously it will lag the Germany, UK, France etc. I’ve seen products appearing their months after initial availability. I hope it doesn’t take that long but you need to be prepared to wait for Q4 I think. When would you expect Windows 8 to launch in your timeline, do you expect existing products to stop/change when it does? I am thinking about getting a Windows 7 ultrabook with ivy bridge so don’t want to leave it too late (don’t want Windows 8)! I would expect update-programs to be announced soon. INtel can not let the Ultrabook market drop while people wait so they will have to announce some sort of upgrade program. Of course this hinges on Microsoft agreeing but I recall they did a similar think on Vista to 7 upgrades with laptops that were bought in the run-up with Windows 7 launch. You mean 3rd gen right? 2nd gen is Sandy Bridge. Nope sorry 2nd gen ultrabooks using 3rd gen cpus. Yeah, not the easiest of things to track! « Will Ultrabooks Kill the Optical Drive [video]?